New regulations are being proposed for mammograms. The FDA is calling it a landmark policy that would not only modernize but improve quality when it comes to breast cancer screening. It’s been about 20 years since the FDA has made any policy changes regarding mammograms. And one of the key changes is to inform all patients if they have dense breast tissue. (WXYZ) — New regulations are being proposed for mammograms. The FDA is calling it a landmark policy that would not only modernize but improve quality when it comes to breast cancer screening. 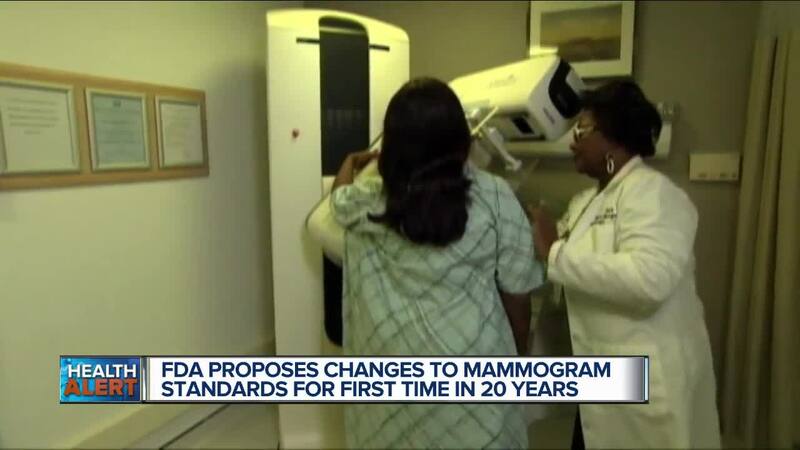 It’s been about 20 years since the FDA has made any policy changes regarding mammograms. And one of the key changes is to inform all patients if they have dense breast tissue. Now this is important to know because dense tissue makes cancer screening more difficult as it can actually obscure signs of cancer. It also increases a person’s risk of developing this potentially deadly cancer. Now the FDA would require that patients be notified of this info via a letter. And it would also include guidance for next steps, which includes following up with their doctor to discuss the results and whether additional tests are necessary. Now there could be some push-back over these proposed changes from medical professionals, because it’s possible that results could cause anxiety and unnecessary testing. Limit how much alcohol you drink. The more you consume, the higher your risk of breast cancer. Don’t led a sedentary lifestyle. Exercising regularly is a preventive step. Watch your weight. Your odds of developing breast cancer go up if you’re obese or overweight. Lastly, avoid or limit hormone replacement therapy, don’t smoke and get regular mammograms once you turn 45. Now as for the newly proposed FDA changes, it will still be a few months before it’s reviewed again and finalized. But the good news is that all patients will find out if they have breast health problems early, and also be given better guidance if they do.